Compatible 2019 Horoscope Personalized Predictions with effective solutions. The launching of this service is seen another extension of the platform to reach out to the people who spare tireless and tedious processes just to gain the access toreliable astro-solution regarding personalized horoscope but fail to come up with a right and trusted service provider. NEW DELHI - Dec. 5, 2018 - PRLog -- India's leading platform for astrological solution through consultation, PavitraJyotish has been pioneering novelty in the field of astrology since the time of its establishment and has been held as one of the top-most destinations for people to avail the best astrology-based services. In its effort to extend the most effective service solution in astrology, PavitraJyotish is now introducing another valuable offer. 2019 Horoscope Personalized Predictions solution is extended to the people looking relentlessly for effective and reliable astrology-based solution in order to get their day to day problems addressed positively and effectively. PavitraJyotish is driven by the motive to cater to the individual need of every such seeker by helping them with top-notch service solution in the field of astrology and in compliance with Vedic Astrology guidance as well. Personalized horoscope prediction service covers an individualized solution to a particular person born under one of the twelve zodiac signs like Virgo, Sagittarius, Libra, Capricorn etc. 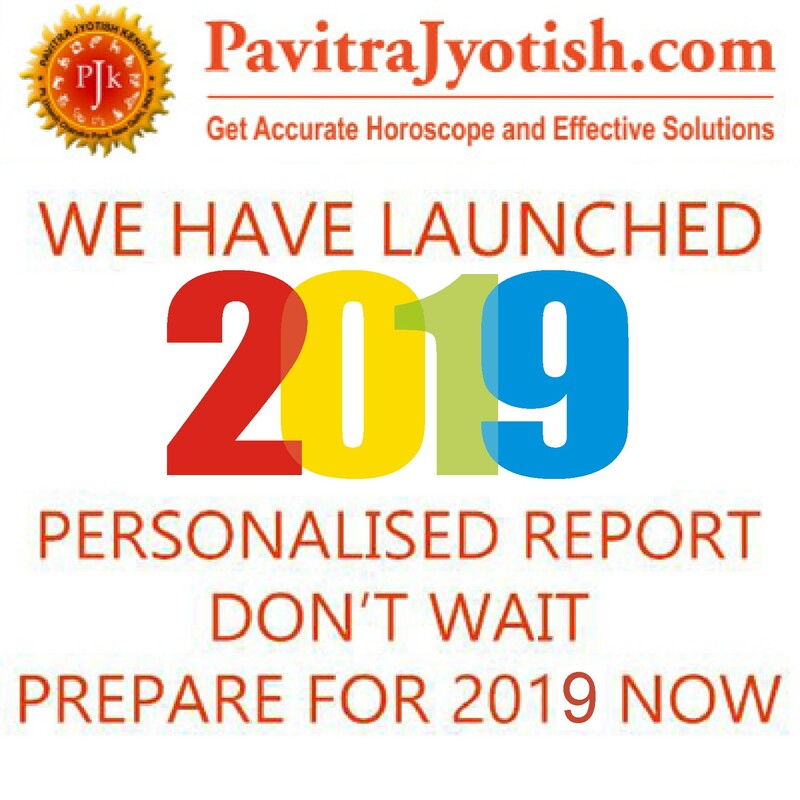 Contained in the report is all-inclusive details of your year 2019 in nutshell, astrological details of your horoscope chart, and many other informative guidelines to help you how to manage your year 2019 effectively, without any risk. · Personalized horoscope talks at length of your year and how to manage your priorities for the said year in a way that your chance to get failed in your chosen endeavor is brought to bare minimum, thus enabling you open a various avenues for growth and opportunity for you and your loved ones. 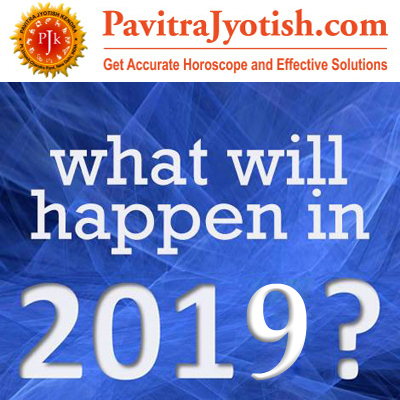 · Prediction about your personal issues for the year 2019 is made through meticulous understanding of your planetary movements, their effects, and mathematical calculation of celestial bodies, including Ascendant and Moon sign etc. by which your horoscope is detailed to be a good handbook for guiding you to manage your year positively. · Offered in the report includes compatible guidance by which one can get to know about planning their daily activity under spiritual and religious Muhurat as suggested in the guideline of the horoscope. 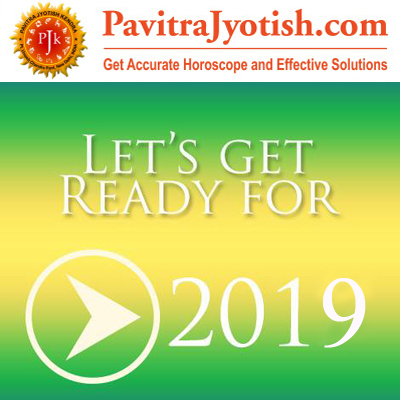 Being compatible means tips and suggestions provided in the horoscope will help you manage the unforeseeable risks thorough effective planning so that your entire year 2019 will be handled without risking you to pitfalls. · Acting upon the guidelines mentioned in the personalized horoscope, an individual will be able to address a variety of issues in his/her life, such as addressing the troubled love relationship/marriage or personal issues coming on the front of finance, health, career etc. · Helps you with manageable solution for any existing problem you might be grappled with, for example, in your education or career related etc. Thus, any chance for earning risk while managing your priority will be reduced to a happily manageable task for you. What makes this personalized horoscope effective and trusted? 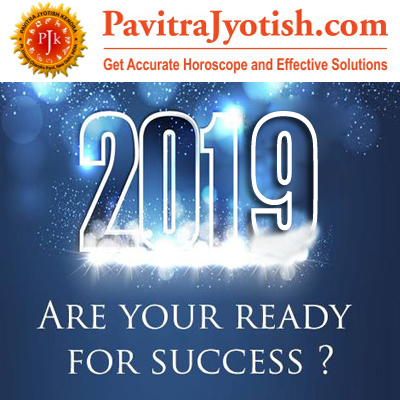 The team of PavitraJyotish consists of erudite and learned astrologers who use a profound analysis of your planetary cycles and other key details of astrological significance in order to meticulously prepare horoscope prediction serving your needs fruitfully. Hence, there's no room for mistake and so it affords relevancy for an individual needs.Though anything fated to happen in your life will happen at any cost, but with the suggestions and remedial measures suggested in personalized horoscope, effective ways to deal with your problems faced on the front of career, business, education or personal fronts, will be easy to handle with success helping you to improve your decision-making skill, composure and prudence. 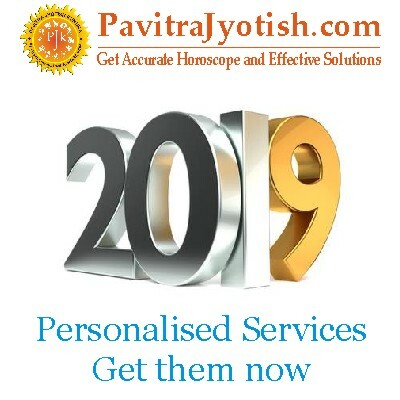 PavitraJyotish is an astrology counseling platform for highly reliable and effective service solutions, offering a host of services encompassing personalized horoscope, astrological remedies, year-wise horoscope prediction, free horoscope and Puja and Anusthan etc.